Light on Yoga has become the bible for hundreds of thousands of people who practice Yoga daily with the Iyengar method, for exercise, meditation, or simply relaxation. With more than 600 photographs depicting all the postures and breathing exercises, it remains the fullest, most practical, and most profusely illustrated guide by the world's foremost Yoga teacher. Light on Yoga is a comprehensive and definitive source-book for the initiated, as well as the best introduction for the novice who seeks the healthful benefits of Yoga for mind, body, and soul. B.K.S. 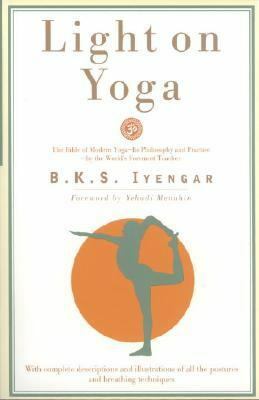 Iyengar, for whom hundreds of Iyengar Institutes all over the world are named, heads his own institute in India.Iyengar, B. K. is the author of 'Light on Yoga Yoga Dipika', published 1995 under ISBN 9780805210316 and ISBN 0805210318. Loading marketplace prices 263 copies from $3.77 How does the rental process work?